With more of 98% of its turnover abroad, Air Flow’s strenght is based on a dynamic sales team, multi cultural and highly autonomous. An award ceremony was held in Marseilles, South of France in presence of Nathalie Mosca, sales manager and member of Air Flow’s Management Committee. Air Flow is an SME located in 5 countries, specialized in international logistics of compressed and cryogenic gases. Its expertise in the fields of cryogenics thermo dynamics and information technology makes Air Flow a privileged partner of large groups of industrial gas and natural gas. The French Commercial Leaders’ Association has more than 2500 members divided among 80 local associations. 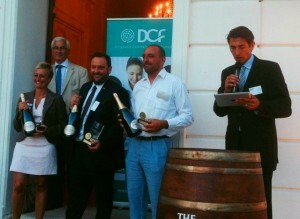 DCF movement revolves around numerous events related to the sales function. With 85 years of history, its members mobilize and organize many events to answer about two key objectives: developing business culture in France and promote the function related to the sale in France.